Last week, we explored how Books@Work chooses books for our programs: we begin from the philosophy that narratives are fundamental to human inquiry and communication; we look for books that portray deeply resonant stories, knowing that our participants will both learn from them and be inspired to share their own; and we work with faculty members and participants in all of our book selections. It is our great pleasure and privilege to see people approach books and stories differently and learn from them together. Here are three examples we’ve learned from recently – why not read one and start a conversation yourself? 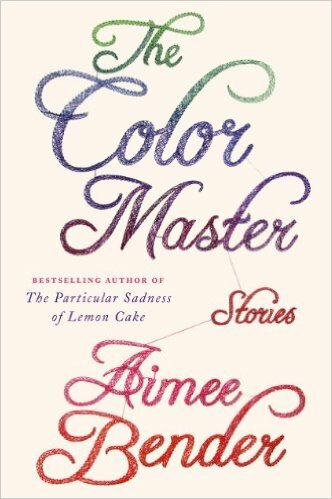 The title story to Aimee Bender’s collection, The Color Master, featured in a number of settings over the past year: first, in a Books@Work session among our own team, at a special program at The City Club and in a few company and community programs. It’s not often that we teach the same story so many times; that we do so with this one is a testament to its richness. Based on Charles Perrault’s fairytale, “Donkeyskin,” “The Color Master” tells the story of a young artist charged with creating dresses the color of the moon, the sun and the sky. 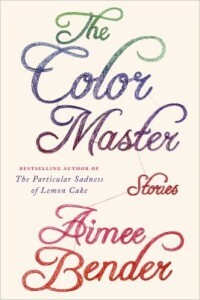 The story is multivalent, reaching different people in different ways and discussions of it have brought up questions of mentoring, succession, mastery, mindfulness, anger, artistry, privilege and even gender in the workplace. Bender’s writing is itself a work of art, one that constantly reminds us of the wonder in our world. And each time we read the story or hear a discussion of it, we learn something new about ourselves, about our friends and colleagues. Professor Gail Arnoff recently taught Tsitsi Dangarembga’s coming-of-age novel, Nervous Conditions with a group of parents and mentors from Cleveland’s Intergenerational School, and I was fortunate to be able to sit in on one of their sessions. Dangarembga’s book, set in Zimbabwe (then called Rhodesia), brought to the fore some difficult issues, including questions of gender discrimination, racism and colonialism. It also illustrated the real magic of our discussion groups: a book’s ability to illuminate others’ stories, to help readers connect and learn with and from each other. Beginning their discussion with Gail, the participants universally confirmed that Books@Work sessions “broaden their horizons.” They appreciate the chance to read books different from those they were taught in schools. 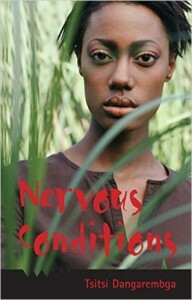 And in this instance, a book they had never heard of by a Zimbabwean writer provided the chance to learn about each other’s past and present – to build connections. “I was surprised to see this book was even offered,” one participant said, before explaining that her husband was from Zimbabwe, that she had spent a lot of time there. “Can you bring him in to talk to us?” the participants asked. Another participant contrasted the protagonist’s life with her own experience growing up in West Africa, explaining key differences in the regions’ cultures. And yet another talked about what it was like to parent teenage daughters – about how, despite all the differences in culture and in place between the writer’s life and hers, some things remained the same. Each of these works evidences for us the power of a particular story as a tool for understanding, helping us reach out to each other and to appreciate and learn from our differences. But we have no doubt that in another group, they will lead the conversation and the connection in a completely different direction. While each is a testimony to narrative’s power to shape our perspectives, each also serves as a testimony of the power of our perspectives – and life experiences – to shape the way we receive and engage with a story. Edmund Wilson’s pithy quotation in fact describes it so well: “no two people read the same book,” even when they read it as part of the same group in the same context. It’s no wonder that this is one of our favorite quotations! 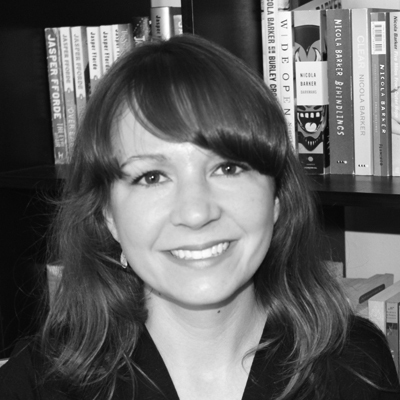 Cecily Hill is the Communications and Marketing Director of That Can Be Me, Inc., facilitator of Books@Work.